A farmhouse style Bed & Breakfast in the heart of the small island of Vieques, Puerto Rico. The hotel is located on a hill with wonderful cross-ventilation, surrounded by luscious vegetation and the soothing symphony of the native Coqui frogs. Being on one of the highest points of the island provides us with an amazing view of sunrises and sunsets. The island has hardly any light pollution, which creates the perfect atmosphere to see the stars at night. Under the right clear-sky conditions, even the Milky Way becomes visible for stargazers to admire. Each room is truly unique in it's own way. 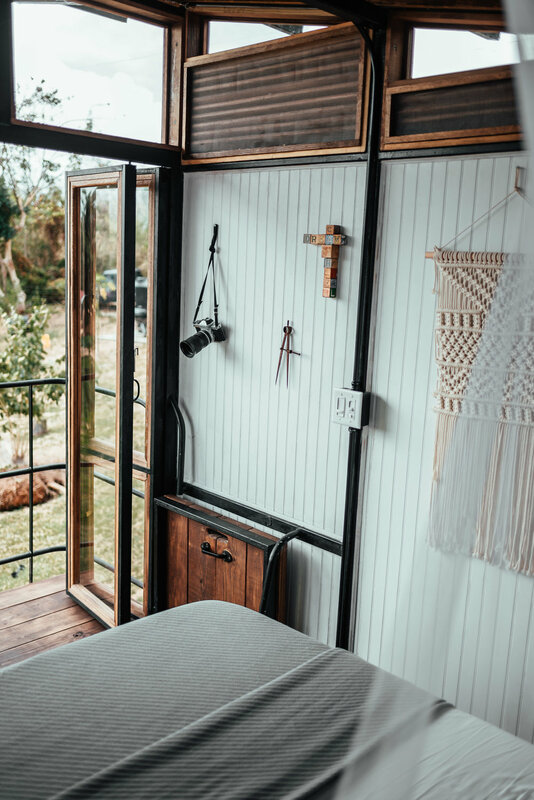 The Victoria Suite, Nuria's Suite, Sahar's Treehouse & The Baez-Haus-- each carries its own distinct feel based on its location on the property and the design of the space. All have private facilities, beach & bath towels, small cooler, basic kitchen utensils, mosquito net and a lot of personal touches. Every room has a ceiling fan because of our breezy location air conditioner is not needed. Rooms have been carefully decorated with local vintage furniture, some form family and dear friends who know their ‘old furniture’ had a second chance to shine. Other pieces are from amazing finds around the main Island. The artwork has been carefully curated to create a beautiful narrative with the space. All source with local artists. Every room is a little universe of its own and carries the spirit of a special person. Each room have been named after important people in Sylvia’s life who have collaborated and enriched her life beyond words. Each room is an homage for each individual and has been decorated and put together with love, intention and careful thought. Each room is an homage to friendship and long lasting relationships. Features: full bathroom, double head outdoor shower, oversized terrace with outdoor furniture, kitchenette, open closet, hammock. Features: 2 sleeping areas, outdoor shower and terrace, master bedroom with ocean view, living room with garden view, full bathroom, open closet, kitchenette, hammock. Features: full bathroom, outdoor shower, floating deck with kitchenette, open closet, hammock. Features: story structures with elevated views, surrounded by trees, deck with outdoor furniture, full bathroom, open closet, small fridge, upstairs room with balcony. Vieques is known for its outstanding white sand beaches, incredible bioluminescent bay, and its majestic wild horses that roam throughout the island.